Manning wanted to spark a debate about our country’s military actions overseas. Chelsea Manning said she leaked hundreds of thousands of classified military documents – a move that would eventually lead her to serve the longest prison sentence of any leaker in U.S. history – because she wanted to spark a public debate about our country’s military actions overseas. In the summer of 2013, Manning was convicted by a military tribunal under the Espionage and Computer Fraud and Abuse Acts and sentenced to 35 years in prison for releasing nearly three quarters of a million documents to WikiLeaks. Manning at that time was a 22-year-old United States Army private named Bradley Manning. At her court martial, Manning had pleaded guilty to some of charges, without the protection of a plea agreement. She was convicted of 17 of the 22 charges against her but acquitted of “aiding the enemy.” The latter charge is akin to treason and punishable by death or life without parole. When asked if she regretted leaking classified information, Manning said, “I don't want to retroactively impose things on me. David Hammond, who described himself in an interview with ABC News as “the only lawyer that Chelsea did not choose to represent her” but was assigned to her “by the U.S. Army,” also pushed back against labeling her as a traitor. Manning served seven years at the at the U.S. Disciplinary Barracks at Fort Leavenworth, Kansas, until President Barack Obama in January commuted the majority of her sentence after her appellate legal team, Nancy Hollander and Vince Ward, made the request the previous fall. Hollander recalled the moment she found out Manning’s sentence was commuted. Manning entered active duty status on Oct. 2, 2007. She was an intelligence analyst assigned to HHC, 2nd Brigade Combat Team, 10th Mountain Division at Fort Drum, New York. 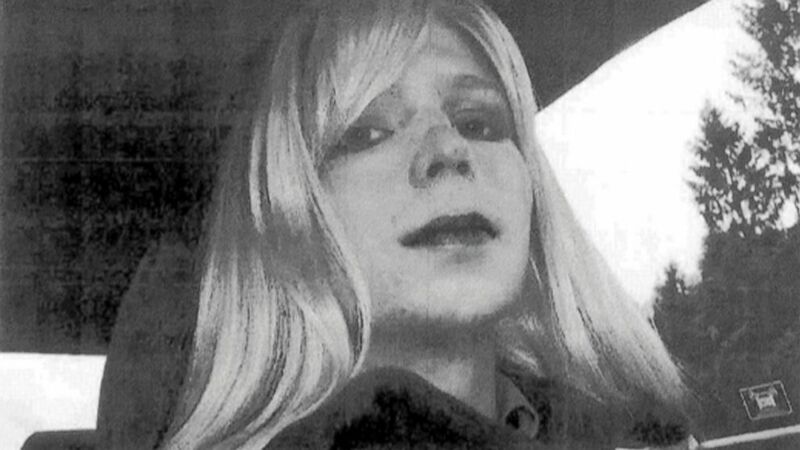 (U.S. Army/AP Photo) In this undated file photo provided by the U.S. Army, Chelsea Manning poses for a photo. At that time, she was living as an openly gay man. (xychelsea87/Instagram ) Chelsea Manning posted this photo on Instagram with this caption:"Okay, so here I am everyone!!" on May 18, 2017. By enlisting, she followed in her father’s footsteps, who joined the Navy at age 19 and was also trained as an intelligence analyst. In October 2009, Manning arrived at FOB Hammer, an isolated military base located 40 miles east of Baghdad, Iraq. “We’re in a big, plywood box that's an office ... and it's dusty ... I've got 30 to 50 colleagues, all in this small, confined space,” she said describing her work conditions. Manning specifically pointed to a video she leaked that eventually was dubbed by WikiLeaks as "Collateral Murder," as an example of something she felt needed should be made public. “There are thousands and thousands of videos like that,” she added. Although Manning sent over 700,000 government documents to WikiLeaks, she was charged with leaking secret portions of only 227 documents under the Espionage Act. The information she disclosed included low level battlefield reports from Iraq and Afghanistan, evidence of civilian deaths in Iraq and Afghanistan, Guantanamo prison camp detainee profiles and U.S. diplomatic correspondence. “Five years ago I made a serious mistake. I acknowledged it. I apologized for it. I paid a very heavy price for it, and I've learned from it," Petraeus said in an exclusive interview on ABC's "This Week” in December 2016. But Manning pushed back on that. A few weeks later, Manning was arrested in Iraq for disclosing information to WikiLeaks. After her arrest, she was transferred to a U.S. military base in Kuwait, and then to the Quantico Marine base in Virginia. After being held in solitary confinement at all three locations, Manning was then transferred to the medium-security military prison in Kansas to await her trial. Manning’s emotional and psychological turmoil was exacerbated by the 9 months of pre-trial solitary confinement. The U.N. special rapporteur on torture accused the U.S. government of cruel, inhuman and degrading treatment toward Manning. Her solitary confinement is one of the main bases of her ongoing appeal. Manning described her confinement to "Nightline" as a "mind game." Manning finally came out as a trans woman, Chelsea Elizabeth, on Aug. 22, 2013, the day after her sentencing. She sought hormone therapy as part of her transition during incarceration. The military denied her request. The ACLU, led by trans lawyer Chase Strangio, sued the Department of Defense in September 2014 over its refusal to provide Manning medical treatment for gender dysphoria. After over a year of litigation, the military relented and began Manning’s treatment with hormone therapy. She made history, becoming the first person to receive health care related to gender transition while in military prison. Ward, her appellate lawyer, explained to “Nightline” that Manning’s litigation and her struggle for access to treatment at Fort Leavenworth was one of the major reasons that she eventually attempted suicide twice and made it urgent to petition Obama for clemency. Manning described the despair that drove her to try to take her own life more than once when she was behind bars. “You just want the pain to stop,” she said. “The pain of not knowing who you are or why you are this way. You just want it to go away ... you're just caught up -- so caught up in this dark blackness inside yourself that the rest of the world doesn't matter. Chace Strangio, her ACLU lawyer who spearheaded her litigation, recalled his phone call with Manning after the military made its final decision to continue to subject her to the forced haircuts that she endured for her entire incarceration. In transitioning to becoming a woman, Manning said the length of her hair in prison was very important to her. She credits the kindness of inmate barbers for making it easier. Manning said she plans to continue with her hormone therapy, which the military will not be paying for. “I have a private health care plan,” she said. The importance of affordable health care is a topic Manning has written about in op-eds as well as in her tweets. Manning set up her Twitter account, and then an Instagram account, @xychelsea in response to the thousands of letters she was getting, especially from trans-children. “It was just to connect with people and make them realize that, you know, like, ‘Hey, I'm getting your letters. I just can't write to, you know, 15,000 people,’” she explained. Christina DiPasquale, founder and CEO of Balestra Media who started working with Manning three years ago, described how Manning would “tweet” from prison. 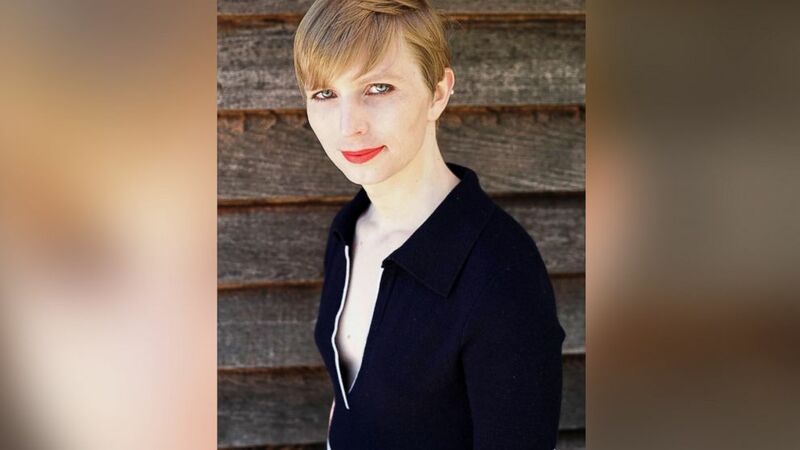 Manning personally posted her first photo as a woman upon her release from military prison on Instagram. Manning has nearly 300,000 followers on Twitter and Instagram, but doesn’t really see herself as a public figure. Manning has received financial support from donors who do not know her. Singer-songwriter Evan Greer organized an online benefit album, entitled “Hugs for Chelsea,” which was compiled by a group of prominent musicians to show their support and raise funds to cover Chelsea’s living expenses as she transitions out of prison. She said they have raised around $12,000 from the album plus $173,000 through Manning’s GoFundMe that Strangio and Greer organized. Manning said she is grateful for their support and said, “It's incredible to have the opportunity to be able to defend myself. In an interview with ABC News, Greer emphasized the role activism played in freeing Manning: "President Obama commuted Chelsea's sentence, but it was grassroots activism that set her free -- and likely saved her life. Hundreds of thousands of people from across the political spectrum came together to fight for Chelsea because we could see that she was fighting for all of us. In the end, a scrappy band of activists with little more than laptops, online savvy, protest signs, press releases, creativity, and hope managed to change the course of human history. We refused to allow Chelsea Manning to disappear. By raising our voices together, we raised so much public awareness and built enough political power that the President of the United States felt like he had to respond. The story of Chelsea Manning's freedom is a story of ordinary people who have done extraordinary things, and that's a story that people need to hear now more than ever." Manning said she has not yet spoken to Obama, but said she would to tell him thank you. “I’ve been given a chance. That’s all I wanted,” she said. Manning, an avid reader and writer, is a “Game of Thrones” fan. However, there was one book, “Wild” by Cheryl Strayed, which she said helped her more than any other. ABC News' Lauren Effron contributed to this report.